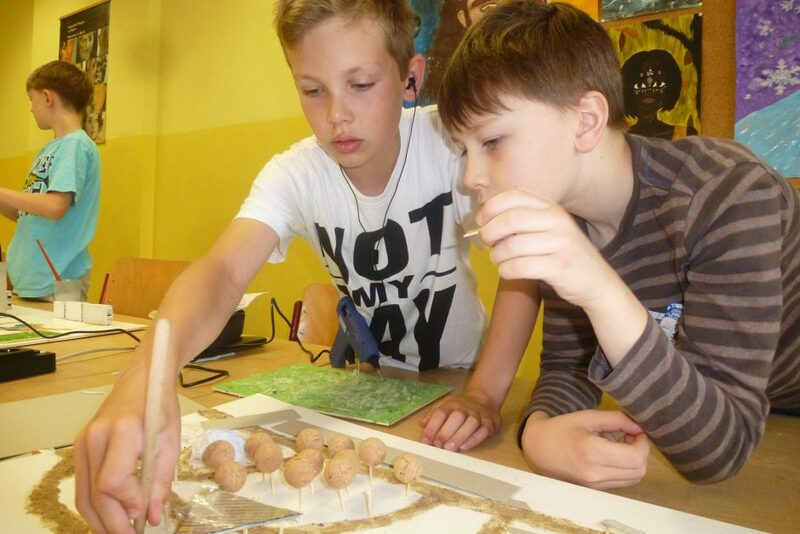 At the end of the school year a project week of creative exploration of architecture and urban planning – that’s why class 5a of the Leibniz-Gymnasium in Potsdam quickly got excited. For the first time, Alexander Paul provided project lead for a City Explorer project here. 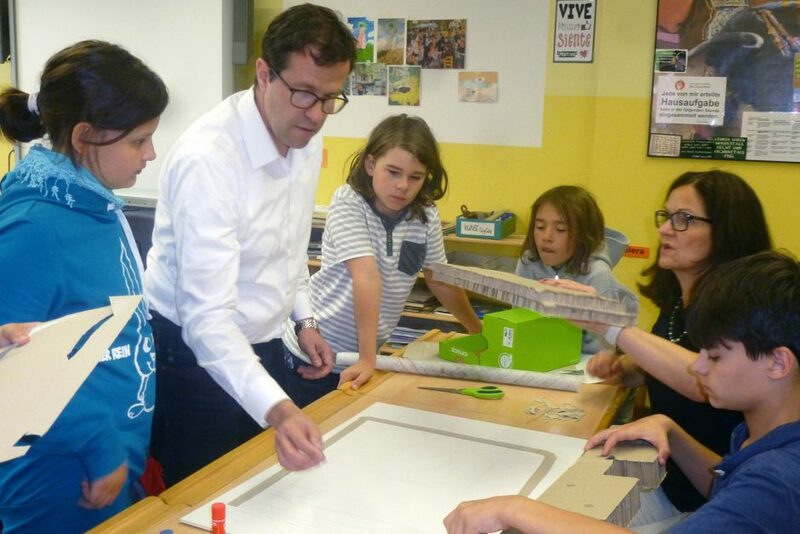 The students also named themes in advance, which were to be reflected, ranging from the pollution of public space to environmental and climate protection. In the city of Potsdam, large and with an abundance of interesting architectural and urban topics, there had to be found a focus on a specific place. In extremely close voting, the students opted for the residential areas Konrad-Wolf-Park and Kirchsteigfeld on their own doorstep. In the wide surroundings of the “Stern-Center”, the class was able to get to know the planners’ different, often high-quality approaches to transport links, public and semi-private space, environmental protection and, of course, architecture, and to identify potential for improvement for five of their own selected locations. The subsequent workshop was not without major technical, personal or deadline challenges. 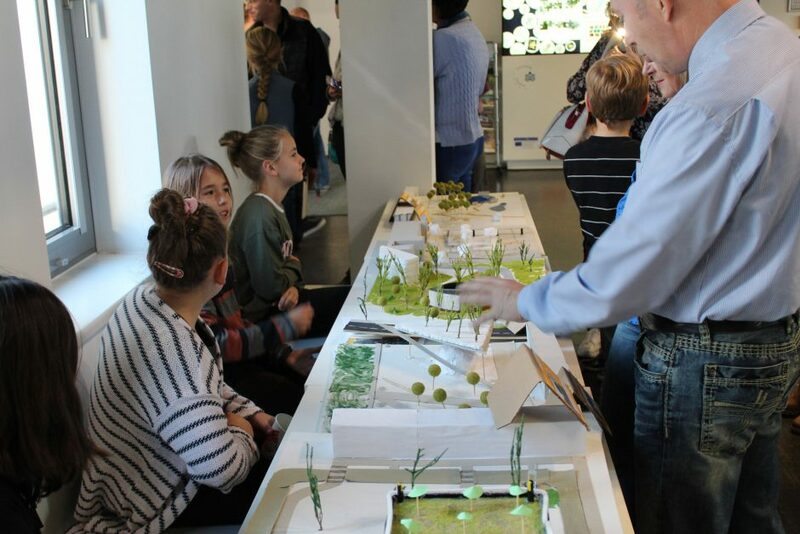 As with the “real” architects, ideas were developed and discarded in small groups of 2-3 students who had come together in a relatively short time, first brought to paper and then transformed into the scale model. After the summer vacations, the students in the public presentation in the education forum proudly presented their proposals in model and PowerPoint presentation: Differentiated usage offers for all generations on the vacant squares of the Kirchsteigfeld, partly covered new outdoor facilities with water surfaces, exercise and shopping in the fallow land between the two residential areas. For the Ernst Busch Square, a multi-functional public building or sports-oriented, green design was proposed. The draughty bus stop in front of the Stern-Center was moved closer to the entrance, received covered bicycle parking spaces and shortens the waiting time with a small café. Another project showed in a smartphone-shot film the incentive model of a singing trash can. In all ideas manifested the strong desire of the young Potsdamers for more offers, but also more order in the public space. The subject of vandalism is countered for example with designated graffiti walls. In doing so, an intergenerational and social overlapping approach is never lost sight of. Weather-protected meeting places, which are present and currently serve a specific section of the population, are newly integrated. The third dimension is included, thus achieving new multifunctionality with a view over the roofscape. No work presents its own architectural idea above the offered functions. Surely valuable suggestions for a forward-looking city policy, which unfortunately had not found the short way to the Educational Forum.